Welcome to the October 2017 issue of Bariatric Times, which also is our special American College of Surgeons edition. 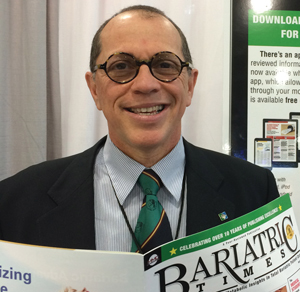 For this issue, we interviewed John Morton, MD, FACS, FASMBS, Past President of the American Society of Metabolic and Bariatric Surgery (ASMBS) and current Chair of the Metabolic and Bariatric Surgery Accreditation and Quality Improvement Program (MBSAQIP). Dr. Morton describes the current status of the MBSAQIP quality and improvement program, of which the national bariatric surgery patient database is a major component. I recently presented data from Cleveland Clinic’s bariatric surgery program (Weston, Florida), which was based on close to 2,400 patients we’ve entered into MBSAQIP over the years. When I compared our data to the national numbers in MBSAQIP, I was impressed to see that there were over 900,000 patients entered into the national database—patients that are followed by the 831 MBSAQIP-accredited bariatric programs. Clinicians and researchers alike should take advantage of the vast amount of information this database contains, and use it as a tool to better understand how their own clinics perform, including re-interventions and readmissions, so that they might continually improve their bariatric surgery program and achieve optimal patient safety, satisfaction, and health. In this issue, I also respond to a letter to the editor by Dr. Metz, who shares his perspective on the challenges we, as bariatric surgeons in the United States, often face when patients who have undergone bariartic surgery in other countries present to our emergency room or clinic with complications. “Medical tourism” is a important and complex issue that warrants careful attention from the bariatric surgeon community, particularly in the United States, where insurance companies refuse coverage of complications for patients who had their bariatric surgery performed in another country. I’d also like to call to your attention to an article we are featuring this month on vertical banded gastroplasty (VBG). Here, Drs. Kamel, Yorke, and DeGara present their own experience managing gastric outlet obstruction (GOO) in patients who’ve undergone VBG. VBG is a procedure bariatric surgeons no longer offer as a treatment option due to its rate of complications. Yet, we continue to treat patients who underwent this procedure, because over 30 percent of them develop complications related to the staple line. In these cases, the staple line will dehisce, resulting in weight regain. The pre-anastomotic ring (PAR) can also create GOO and gastroesophageal reflux disease (GERD). While removing the PAR is an option that will certainly relieve the GOO and GERD, it will not address the weight regain and disease recurrence. And finally, my co-editor for the Allied Health section of the journal, Tracy Martinez, RN, BSN, introduces us to Erik Sudin, who is an MD candidate, and Faha Zubahr, MD. These authors present us with an excellent review on the fascinating subject of the gut microbiome. I recently attended a presentation on the microbiome by Eiran Elinav, MD, PhD, who is working in conjunction with the Weitzman Institute in Israel and the Howard Huges Medical Institute in Chevy Chase, Maryland, and I was stunned—to say the least—to learn about the potential impact our gut flora have on the obesity disease. It appears that the bacteria that colonize our gastrointestinal tract from an early age might be responsible for triggering appetite as well as stimulating certain receptors that result in our preference for certain types of foods, which might then result in a higher incidence of obesity. 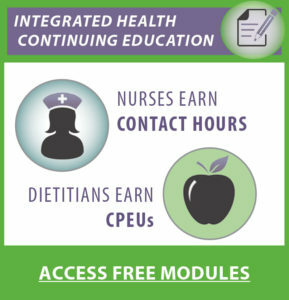 The article by Sudin and Zubahr is accredited for 1.5 continuing education units in nursing. I hope you enjoy the issue. I look forward to seeing many of you at Clinical Congress 2017, which is the annual ACS conference, to be held October 22–26 in Washington, D.C.
Rosenthal RJ, editor. American College of Surgeons Quality and Safety Conference; 2017 July 21-24; New York, NY.